Protective telomeres are augmented by freely diffusing telomerase. As the rope of a chromosomes replicates, it frays at the ends. 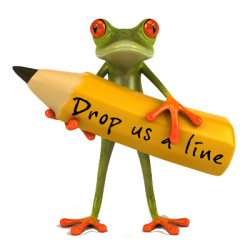 No problem: A chromosome's ends have extra twine so that fraying doesn't reach into the body of the rope where the important information resides. This extra twine is called a "telomere". Over time and across replications, this telomere twine breaks down until the chromosome loses its protective ends and this "fraying" reaches into the rope, wrecking the chromosome and resulting in the death of the cell. This is all well and good - eventual cell death is as it should be. Without cell death, there is cell immortality and with cell immortality there is cancer. Cancer cells counteract the breakdown of telomeres by building them up as quickly as they are degraded. A cancer cell does this by spackling a telomere with the enzyme telomerase. Basically, when telomerase finds and attaches to a telomere, it adds a repeating DNA sequence to the repeating DNA sequences that are already in place, lengthening the telomere and adding to the chromosome's protective ends. Oncologists and cancer researchers wish that telomerase would not do this. Without this constant telomere repair, chromosomes would eventually degrade and cancer cells would die. Without the interaction of telomerase with telomeres, cancer cells would be mortal. A study led by University of Colorado Cancer Center investigator, Thomas Cech, PhD, CU Boulder Distinguished Professor, Nobel laureate, and director of CU's BioFrontiers Institute, uses CRISPR gene editing technology (shortlisted for the Nobel Prize) and live cell, single molecule microscopy (which led to the 2014 Nobel Prize in Chemistry for unaffiliated researchers Betzig, Hell and Moerner) to watch in real-time, for the first time, this essential interaction between telomerase and telomeres. Results are published in the journal Cell. What Cech and co-authors Jens Schmidt, PhD, Damon Runyon Cancer Foundation postdoctoral fellow and staff scientist Arthur Zaug saw is that telomerase diffuses throughout the cell nucleus, bumping into things. Neither telomerase nor telomeres are common in the nucleus but sometimes chance has it that the first hits the second. But it doesn't do any good for telomerase to attach at a telomere midpoint. 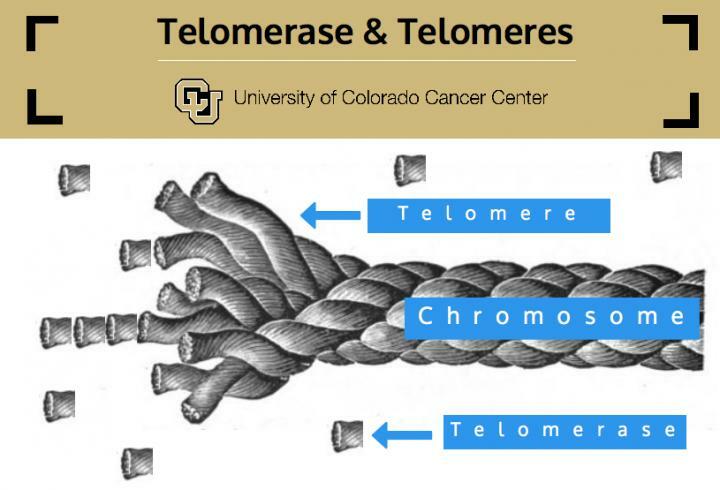 To protect the chromosome, telomerase must attach at the very end of the rope. So if telomerase hits the middle of a telomere, it soon detaches and tries again. Cech and colleagues call this "probing". Only if probing results in a direct hit at the end of the telomere does telomerase attach and stay. "It's like looking through TripAdvisor for a place you want to stay," Cech says. "You probe different hotels and finally you find one that has all the features you want." Cech calls this mechanism "plausibly the simplest way that a rare little machine can find its very rare landing site within the complex landscape of the nucleus." Think about it: Telomerase diffuses evenly through the nucleus. When it happens to hit anywhere on a telomere, it sticks briefly, thus increasing the concentration of telomerase near telomeres and thus increasing the chance that telomerase will happen to hit a telomere end where it can attach securely. The group was able to make this process visible by using the CRISPR DNA editing technology to insert code into the gene that makes telomerase. This inserted code manufactured a fluorescent protein, which was attached to telomerase. The group then used what some call nanoscopy to see this fluorescent protein. "The amazing thing to me is that three years ago, you couldn't have done any of this. This is how fast things are moving in biology, just rocketing ahead," Cech says. Previously, looking close enough to see the fluorescence of a single protein would have required "fixing" the cell and visualizing it with a microscope. It would have been a snapshot. The ability to see the processes inside a live cell at this magnification is like shooting video. "With this fixed cell imaging, we didn't see the dynamics," Cech says. "And the rapidly diffusing telomerase is invisible, washed out or lost in the background." Cech points out that this technique of CRISPR-aided nanoscopy will likely be used by scientists outside the field of telomere research. He also hopes this specific finding will aid in screening anti-telomerase drugs. "Right now we don't have a great telomerase inhibitor. We don't know at which step our first generation of these drugs is interfering so we don't know how to optimize these drug candidates for anti-cancer effect," Cech says. Does a drug prevent the assembly of telomerase? Does it keep telomerase from moving near telomeres? Does it prevent probing? Does it prevent telomerase from finding a telomere end? "Knowing where a drug blocks the ability of telomerase to lengthen telomeres could have broad applicability for diverse cancers," Cech says.